Does anyone know of any good fields near Pittsburgh (north side of the city preferable) to fly kites? There's a Fly Pittsburgh Kite Club, but the site hasn't been updated for over a year, and email seems to go into neverneverland. Any information would be great. Sorry to say, the only active PA group that I'm familiar with is the Susquehanna Tethered Areodyne Pilots (S.T.A.P.). They're an awesome crew, but I believe their home field is near York. Look for a large, open area with grass that's mowed regularly, County forest preserves, State Parks, etc. I use Google Maps a lot to check out new locations. After a while you can spot mowed areas from a mile up. Try for a field with a minimum amount of trees or buildings surrounding it. Hartwood Acres Amphitheatre up around Dorseyville looks decent to me. Damn, you guys got a lot of hills there! That's about the only spot that looks good to me. If you find anywhere good to fly, be sure and add it to the KiteMap database. If you're gonna drive 3 hours to York, a better bet would be Cleveland, there's a kite fest coming up there next month I believe. Also what about Windstar Kites? That's in your area, Con Engels. Thanks everyone for responding. Answering everyone in one post, coz I'm like that! Hartwood Acres is the one place I had already planned to test out. According to WillyWeather, it gets around 7MPH wind, which should be enough. But I've been there (it's about 15 minutes from my house - well within reach), and don't recall that much wind. And I'm not about to drive to York for kite flying. I mean, sure, I enjoy it, but that's basically the whole day shot driving. The Cleveland Kite Fest sounds intriguing, but I'd have to take my son, and next month he's in school. It'd be a tough sell. 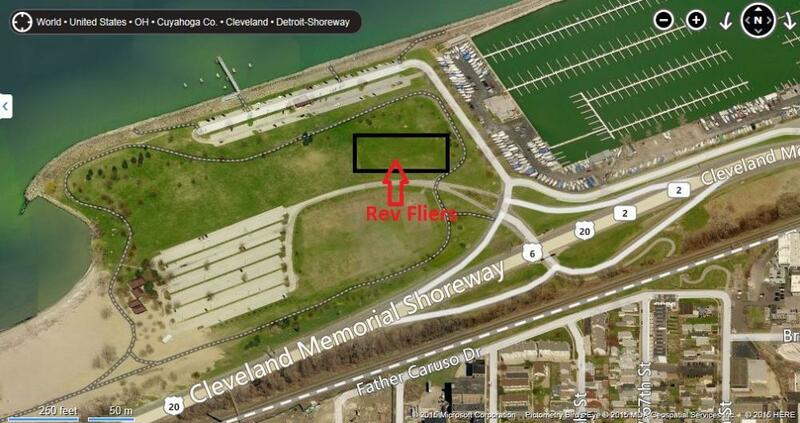 [Edited:] The Cleveland Kite Fest is actually near the end of August - 8/22 8/23. More viable. I've emailed Windstar/Con Engels, but got no reply. The Fly Pittsburgh Kite Club website hasn't been updated since late 2013, so I wonder if he's fallen off the face of the earth or something. Wow, how time flies when the first snow here is less than 2 months away! I viewed you are into dual and quad, I went to the Cleveland kite fest awhile back and met a bunch of quad fliers there, a standard fest for the Kyt Crzy Taylor family and Lee Sedgwick. If I was to go again, I would stay out in a highway motel rather than a city motel. Weather permitting it would be a nice get together with other kite fliers. We decided to go to Cleveland on Sunday the 23rd for the Kite Festival. We're driving up Sunday morning at like 8AM, it's only 2.5 hours each way. Stay the day, maybe hit dinner out there, then come home. It will be lots of fun. Ask questions, then ask a few more. Try some other people's kites. Have fun, smile, and don't forget to breathe. Con is a good guy and definitely can help you out on where to fly if you can get in touch with him. I am going to the kite fest Saturday, I'll ask Phil, the prez. of the club putting the show on what's up with Con. Phil's friends with Con. I do know he has had family health issues that wouldn't be getting better last year. There should be a handful of Rev flyers there, based on past years. Hopefully Vicky will be there from Columbus. Very cool person and a great Rev flier. Vern most likely will be there, and a dude who flies a five stack of Rev 1s; don't remember his name. Edgewater Park has a few parking areas, come in the main entrance to the parking lot right on the lake, it curves back around. In past years the Rev fliers fly toward east end of the field; in between the annoucer's tent and the boat load of single line and staked inflatable doo-dads. Great info, thanks! I'll be sure to check out the Rev flyers where you point out in the handy dandy image. When you say "a handful" I hope that means "enough that I can mooch some flying time"
To mooch some flying time, all you need is one. Looks like nice wind for tomorrow, got me thinking. Maybe. WeatherUnderground and WillyWeather both say between 4 and 8 MPH winds, that seems low. Flyable, but low. Oh, that sounds like perfect wind for me ! I like 2mph and under. I've caught the low-wind bug, and I'm not looking for a cure. Here now, and the wind is utter crap. Though I suspect it'll pick up later in the day. At least based on what one guy with fighter kites said about yesterday. Still early in the day, thankfully. So, at the end of the day, despite hyzakite's assistance, and the use of one of his kites, I didn't manage to get a quad in the air. The wind was basically trash, and yes, low wind can be fun, but I am not good enough to handle learning that and quad mechanics at the same time. I have some video of the Wind jammers from Detroit, which I will post when I get somewhere with WiFi. Doesn't help that I have a headache, probably from staring at the sun (slight hyperbole) without sunglasses, idiot me. Anyway, I'll try again next chance I get. It is definitely frustrating when trying to learn quad, and as a matter of fact even dual or single line, when the wind just won't cooperate. You probably saw how the Windjammers team had to work to make those demos look good. And it's even harder when the sun is in your face. However, once you get the hang of flying in less-than-perfect conditions, you will look really good in decent wind. Stick with it; each time you fly will be better than before. Ahead of you are dozens of "ah-hah!" moments, simultaneously pleasant and frustrating, as they leave you longing for more. In the end, what you do is equal to what you have. Speaking less philosophically, there will always be more to learn, probably forever. In the meantime, have fun, smile a lot, and don't forget to breathe. The Windjammers guys did have to work to launch, but once they were in the air, the stacks worked in their favor. And, yeah, I see how low wind skills help in higher wind. But hyzakite could get it airborne, so it was a skill thing, which is what frustrated me the most. Just that I don't have the skill. I'm going to make a Reddit post about my experience, I'll link it here. In all fairness, the main stage area is the best wind, it's been the same area for years, off to the sides the wind never gets better. And moving away from kids with their first kites, running away from the wind is part of that kite fest. I love the kids energy! They can run forwards looking backwards so fast, only a tree could stop them. Saturday I was flying midvent and homemade, Sunday an SUL and homemade. Wind switched 200+ degrees through the day, what you could call wind. I think there was a lot learned on a day without much flying wind. Hapes launched the kite many times in forward and in reverse, for the lack of wind I looked at it as fine. Not one of us did any better in our first time when our first time was in the lack of wind, but, many of us kept trying the day we got our first rev, even though there was no or too much wind, but there was something learned, for me, I learned how to untangle a spaghetti mess, it took a few days but I untangled then learned how to launch and do a U-turn into the ground. Just keep at it, don't give up because of no wind today, and don't give up because of too much wind tomorrow. Here some pics from Saturday. The REV folks are near the bottom.